Our HHPS Group Secretary Heather Osborne is the next member to open a garden, on Sunday 28th June from 2 – 6pm. More information can be seen on Heather’s NGS page here, and in the description below. This is a joint opening between number 20 and number 30 St Stephens Avenue; two gardens for the price of one. 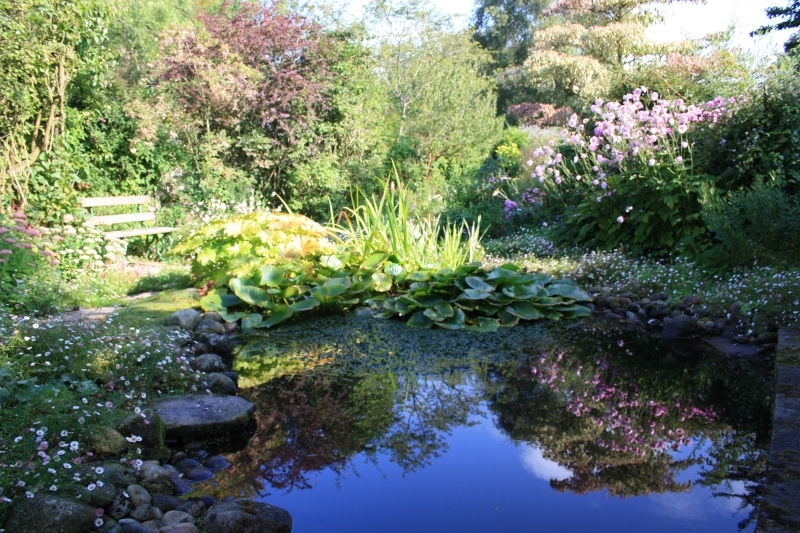 Heather and Pete’s garden at number 20 has been developed to provide a range of different growing environments including cool shady borders, hot and dry beds, and lush pondside displays. Successional planting ensures waves of colour from April to October, with a glorious display of pastel tones in June. Serpentine paths weave through the carefully maintained borders. New areas are developed each year; recent additions include a bed of late season perennials and ornamental grasses. Number 30 has a southwest facing gravelled front garden with a Mediterranean feel. Herbaceous plants, such as sea hollies and achilleas, thrive in the poor, dry soil. Clipped box, beech and hornbeam in the back garden provide a cool backdrop for the strong colours of the herbaceous planting. A gate beneath a beech arch frames the view to the park beyond. Plants for sale at June opening only. Posted on June 23, 2015, in Member's Garden, News 2015. Bookmark the permalink. 1 Comment. Dawn to dusk gardening going on here!